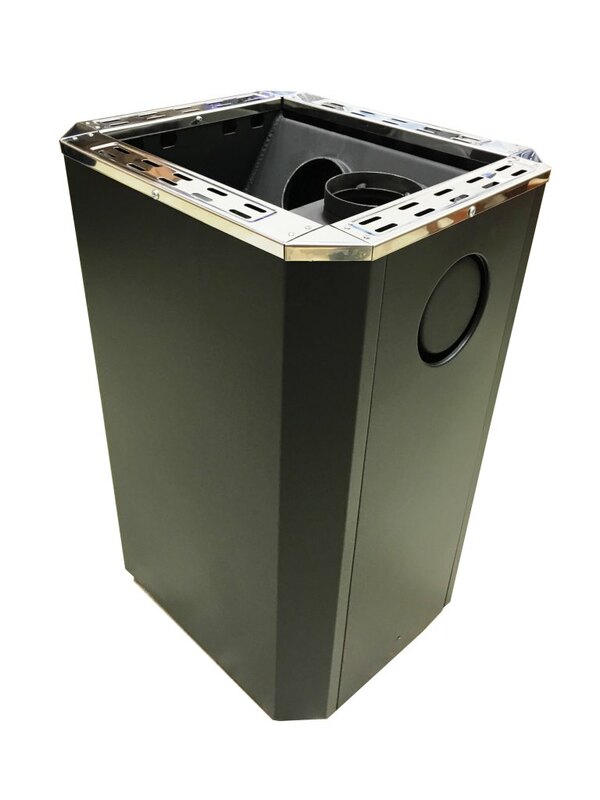 Heats Up To 850 cubic Feet! 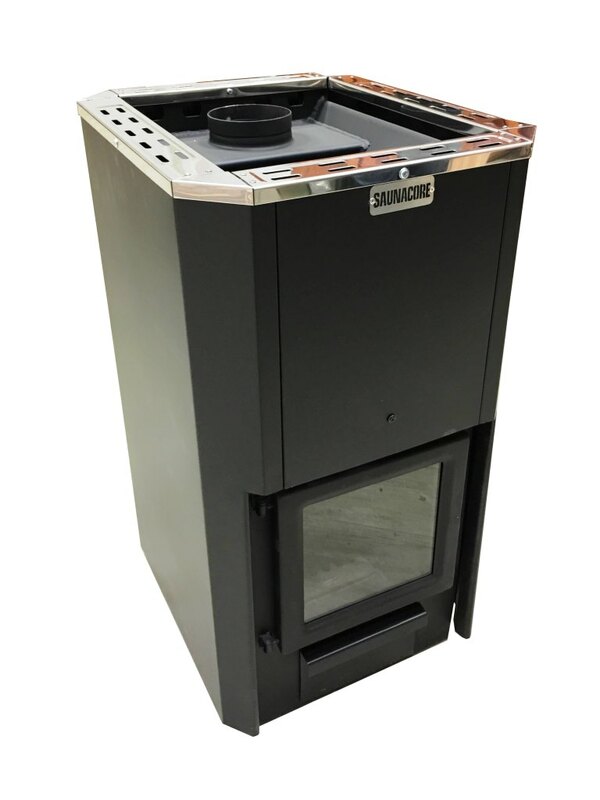 A truly authentic wood burning sauna stove engineered to outperform the competition in both engineering & design. 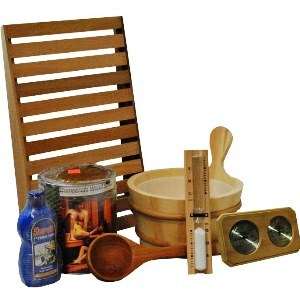 Made in Canada to withstand the harsh Canadian outdoors, unsurpassable in durability and performance. 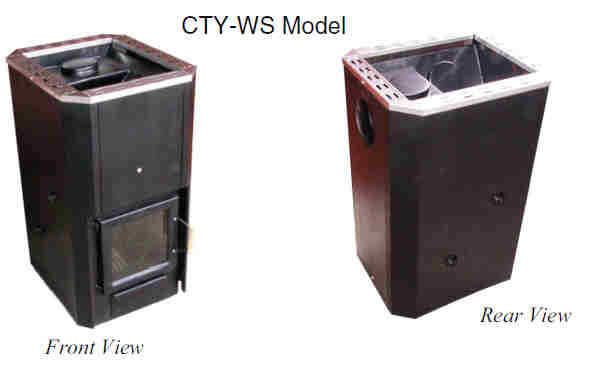 The Country Living wood sauna stove is ideal for the most demanding outdoor sauna enthusiasts. 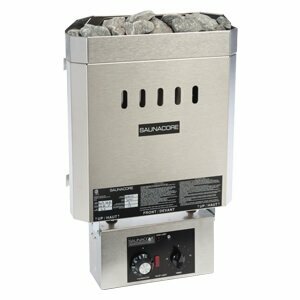 Saunacore engineered these industry-leading wood burning sauna stoves to meet every challenge head on. 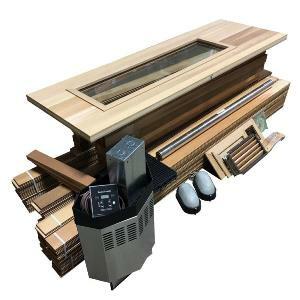 With exceptional durablility they deliver all the functions you need to get those outdoor saunas hot! 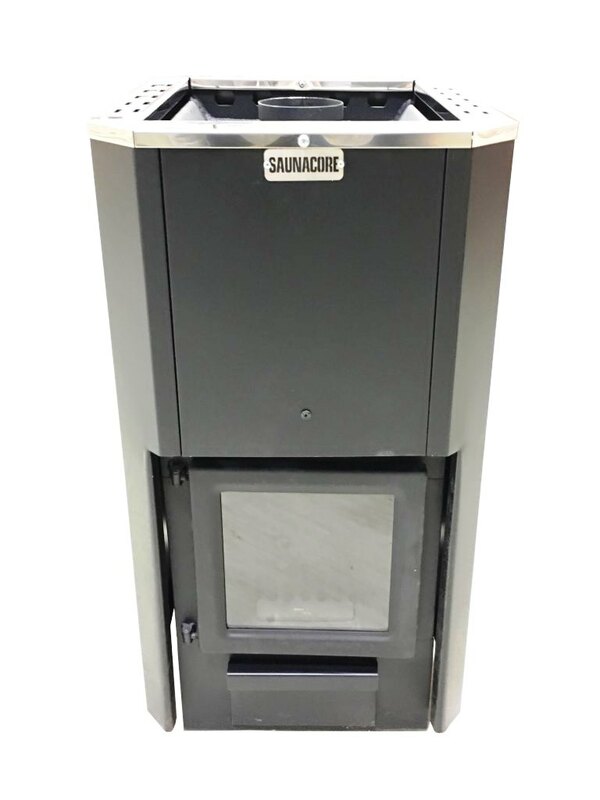 Competitor's models look the same but they are definitely not constructed out of the same thick solid materials or have an efficient performing design as this Saunacore model. 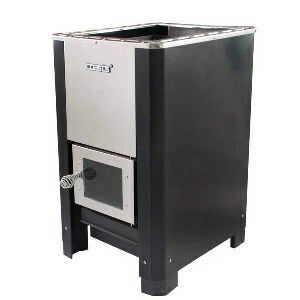 This is a traditional authentic high quality wood burning sauna stove at its absolute finest!! 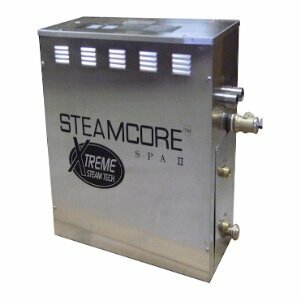 Recommend for rooms upto 24 cubic meters (400-850 cubic feet). 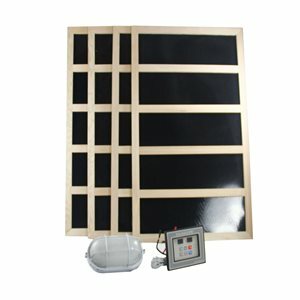 Flush mount door with glass viewing window. Hight temperature black paint and stainless steel upper rim.